importance of regular exercise for maintaining good mental health. 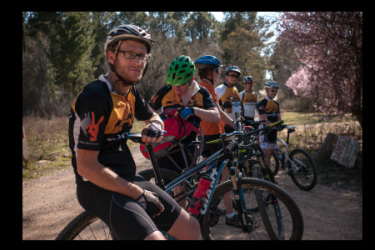 So why not join us on this exciting and picturesque 2 day Mountain Bike ride that starts from Canberra's National Zoo and Aquarium and ends at the Mogo Zoo on the beautiful south coast. The event caters for people of all levels of experience. For those who have never done this ride before please read the event information below before registering you interest. We look forward to seeing you at this event in 2019. Distance covered over the 2 days is approximately 200km and there is a minimal amount of road riding (less then 20kms) and the ride incorporates parts of the Mont 24 hr course in Kowen Forest (on Day 1) and parts of the Angry Doctor course at the end of Day 2. The majority of the ride is on country dirt roads and firetrails. The ride also includes great mountain climbs and descents throughout the 2 days. 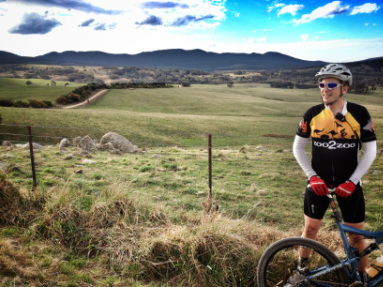 After enjoying the fantastic single track of the Mont course on day 1, the ride stops for lunch in Bungendore. After a relaxing lunch the ride then makes its way through the Talaganda State forest region taking in breathtaking views. The landscape ranges from open farmlands and woodlands to vast forests of pines and eucalypts, culminating in a great country-style home cooked meal and relaxing evening at The Elrington Hotel in Majors Creek. Day 2 starts off with a lovely country breakfast at The Elrington Hotel followed by a steep descent down Majors Creek road into the Araluen Valley, which is well known for its part in the 'gold fever' era of the 1850's. Midway down the descent from Majors Creek riders can stop at the 'Clarke's Lookout' which is named after two brothers who (back in the gold rush days) would lie in wait for the gold shipments to come up out of Araluen. The lookout affords a magnificent view of the valley. 24hr, this 2 day event is sure to leave you with some great memories. Entry to the Canberra to Mogo Zoo2Zoo is $300.00 including GST per person. The event will be limited to the first 30 registered riders. Event entry includes accommodation on the Saturday night at The Elrington Hotel (4 or so to a room). See our Zoo2Zoo Accommodation Policy for further details. - breakfast, morning tea and lunch on the Sunday. If you have any dietary requirements, be sure to list them in your registration form. In addition to your daily meals, Zoo2Zoo will also provide an abundance of snacks, food and drinks during the 2 day ride. Each support vehicle is kitted out with an esky and snack boxes full of those great goodies we all crave on long rides. Persons must be 18 years old to participate in the Zoo2Zoo. awareness for the Black Dog Institute. Although there is no minimum amount to be raised, we do encourage participants to fundraise for the Black Dog Institute. All we ask as the event organisers is that do your best, tell your friends to hop on your very own Everyday Hero fundraising page and make a donation, no matter the amount. You may just surprise yourself at what you can raise. On average riders raise about $1,000 and come up with novel ways to raise funds - trivia nights, BBQs, morning teas etc. In the event of a cancellation, Zoo2Zoo Incorporated will refund your entry less any costs incurred. Entrants must wear an official Zoo2Zoo riding shirt to participate in the Zoo2Zoo. If you have done a previous Zoo2Zoo, you are able to wear the riding shirt from that ride. Otherwise, you are able to purchase a jersey for $100. The cycling kit will be available for collection on the morning of the ride at the start of the Zoo2Zoo. We also have a Limited Edition Black Zoo2Zoo jersey available for purchase by Canberra to Mogo participants. We welcome people with disabilities on the Zoo2Zoo and ask that other riders show the same consideration and support they would expect to receive from other riders. Zoo2Zoo Incorporated will use all reasonable efforts to cater for your particular disability where able. A support vehicle will follow each group of 10 riders and will specifically support those riders. A trailing support vehicle for riders is provided by Zoo2Zoo Incorporated. The Sag Wagon travels behind the last riders on the ride to ensure all riders arrive safely at the end of each day. You must ride in a safe and responsible manner during the Zoo2Zoo and use common sense at all times. You should exercise caution on all public roads and operate defensively and courteously. It is highly recommended to have BicyleNSW membership, or something similar that has insurance covered. Please consider carefully what insurance you require for your personal situation.